It has been a busy this week. The kids are back at school and straight back into homework, trumpet practice and complaining about all the homework- yep, just as I remember! Max is in grade five this year and Nic and I can hardly believe where the time has gone. 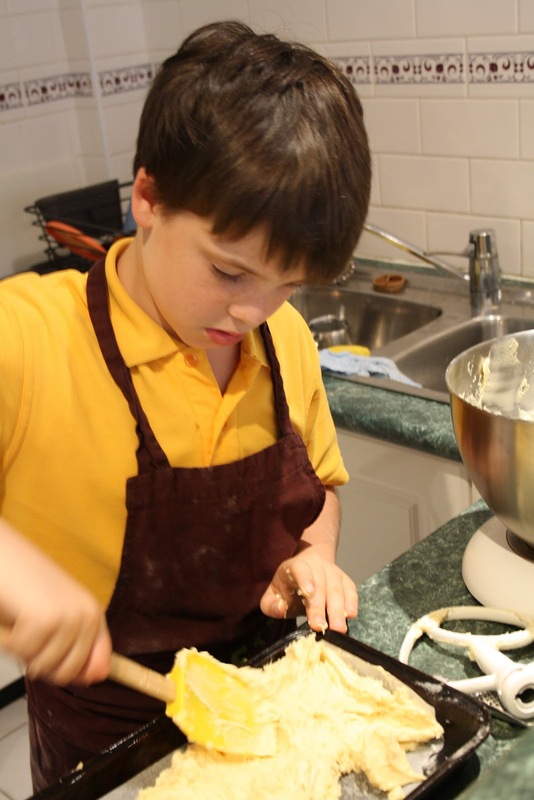 It only feels like yesterday that he was learning to walk and now he is wanting to learn how to make lamingtons. This year in the 5th grade the kids have weekly projects to complete. They have a grid of several options, and get to choose a project they would like to work on that week and then talk about it on Friday in class. 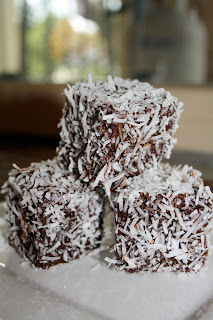 Monday just past, Max informs me he MUST make lamingtons because it was one of his school projects. It didn't sound unreasonable so I didn't bother checking the sheet and it also bought on a wave of excitement in the homework hour and who was I complain about that? Max ended up making his first batch of lamingtons from scratch over two days (on my advice of leaving the cake to dry out a little so the icing would hold better, much to his annoyance) and did a great job. When I went to refer to his sheet about something I spotted that in fact you didn't actually have to make the lamingtons only find a recipe and write it in the homework book! 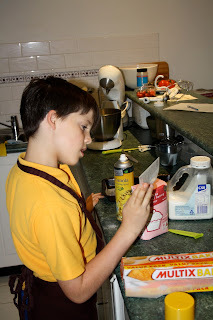 I love the idea of getting older kids to read an assortment of miscellaneous documents, such as we all read everyday and the fact that he actually wanted to make the lamingtons and take them into class and share them around make me really proud of him....now I just need him to learn how to clean up after himself and he would be perfect! What's the first step when you cook something Max? two eggs...yep, sounds right but you tell me? What does your recipe tell you? Ok in the oven to bake and make the whole house smell yummy. 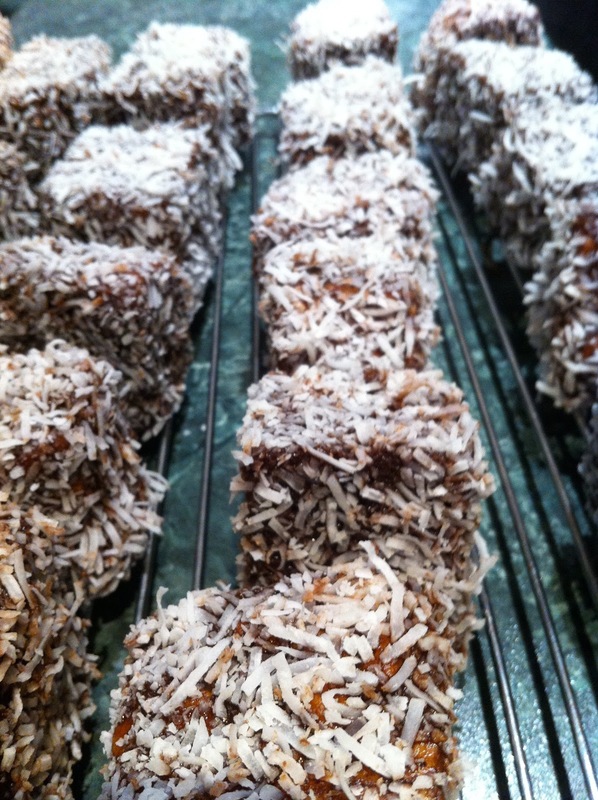 rolling the lamingtons in coconut. After the first five were done, I jumped in and gave him a hand as he was a bit overwhelmed with doing the whole 26 of them! I hope your class enjoys all your hard work tomorrow Max, well done x. We are very proud of you Max, well done. They look great! I am sure the class will love them. I have no idea what a lamington is but if it involves cake, chocolate and coconut. I'm in. 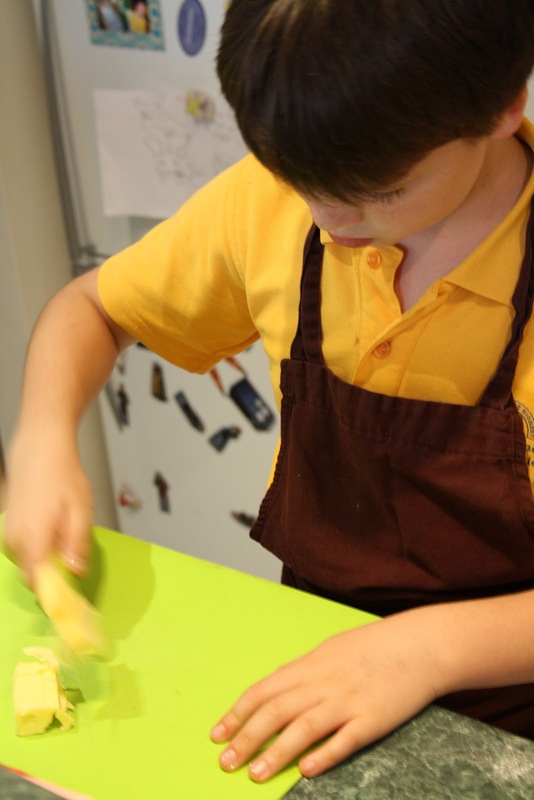 I wish schools encouraged kids to get in the kitchen more. My son got extra credit for making a cell cake. It was gross looking but he had to know all those parts to decorate that cake!